This detail is part of the project Mosaic Home. 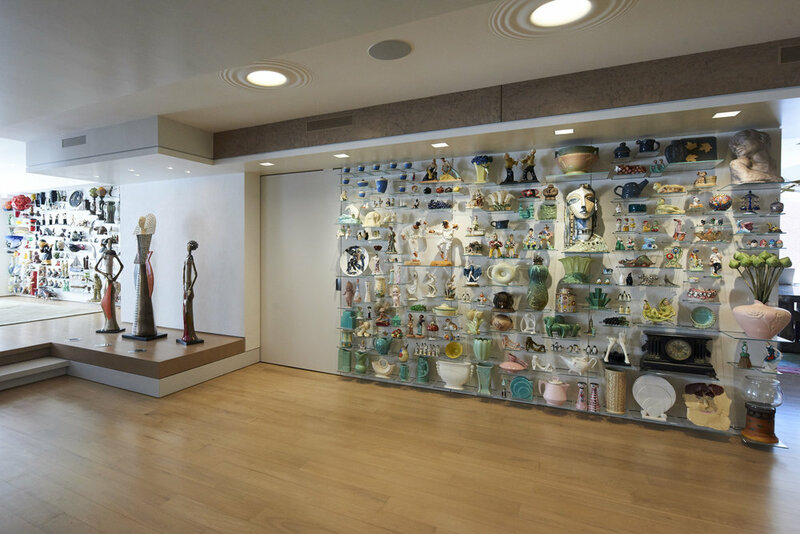 The owner of the home had a large collection of art, objects and antiques that were collected over 45 years. 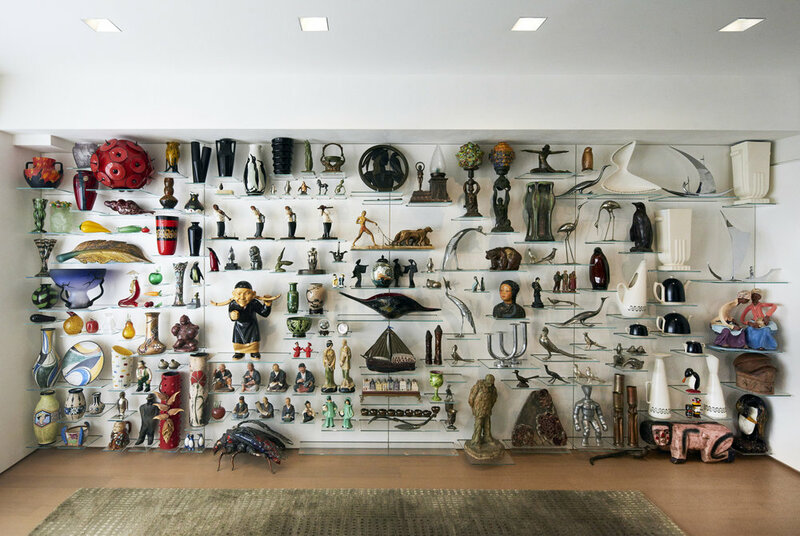 We were challenged to find a way to tell the story of this collection in the home. We developed an algorithm to sort the objects into a field condition that populated two of the walls of the apartment. The algorithm could be edited to sort the objects in a variety of ways including date created, date bought, color and material.